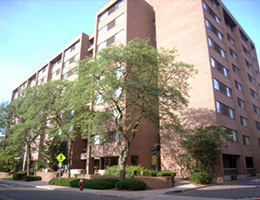 Capitol Towers is a nine-story, 144 units, non smoking high-rise apartment community for the elderly and persons with disabilities. 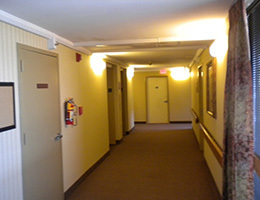 It was carefully designed and constructed to provide comfortable, apartment living for individuals aged 62 and older. All apartments are equipped Energy Star appliances consisting of electric ranges, frost-free refrigerators. 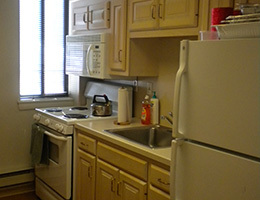 The community has newly renovated kitchens, wall-to-wall carpeting and window blinds. With an updated hot water system and new building makeup air, the community is a safer, healthier, and more eco-friendly living environment. The monthly rent includes heat, water and electricity. A full-time Resident Services Coordinator, who has been trained in areas related specifically to the elderly, provides help and support to our residents regarding any problems or concerns they may have with federal, state or local programs. 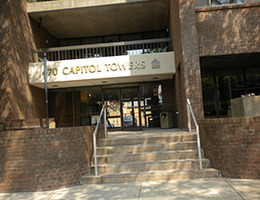 Capitol Towers is located in the heart of the Capitol District with easy on/off highway access. 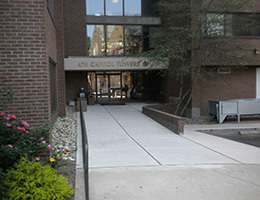 The site is conveniently located within walking distance of the State Capitol and Legislative Buildings, Bushnell Park and Bushnell Theater, as well as restaurants and shopping and public transportation and churches.